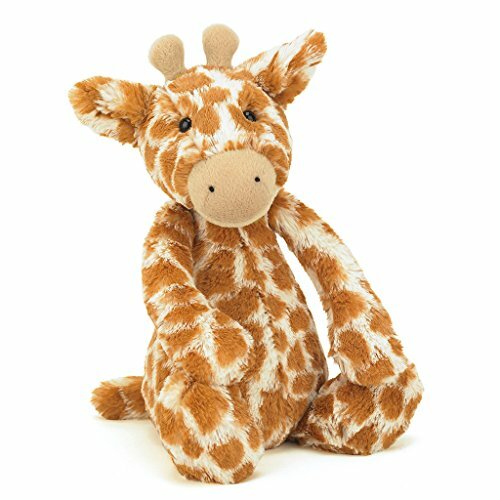 Jellycat Stuffed Animals aren't meant for children alone, even grown ups tend to love them. Words can't describe the huge collection of stuffed animals that they've manufactured and continue to do so. 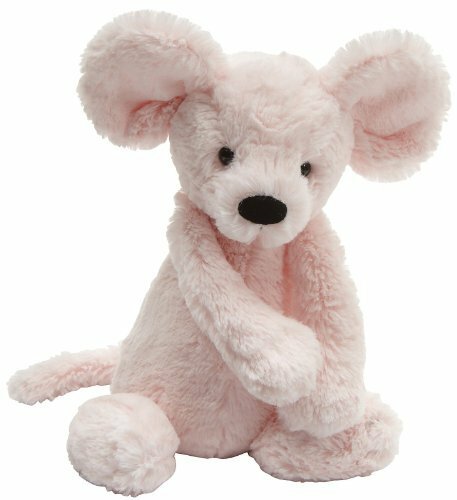 If at all you have a problem picking out a gift for your child on their birthday or maybe even Christmas, you should definitely give plush toys a thought because I've never come across a child who isn't fond of them. 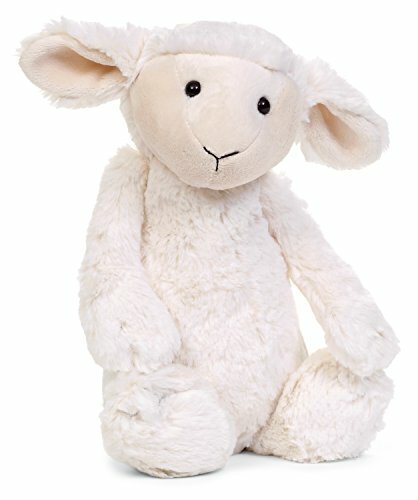 Since the range of Jellycat stuffed animals is huge, I've collected the best of the lot based on what I like and what others have rated as the best. 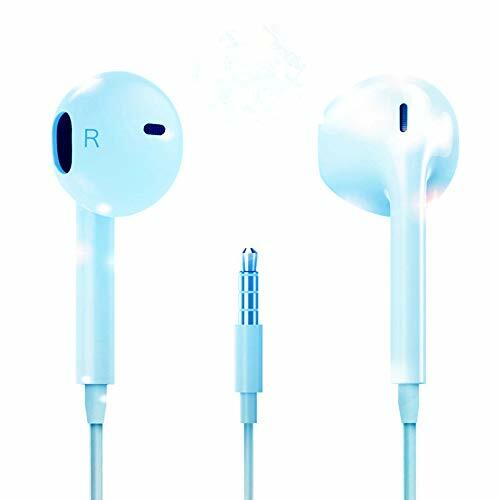 So, here you'd find the best of the best arranged so that you'd be able to check them out with ease. 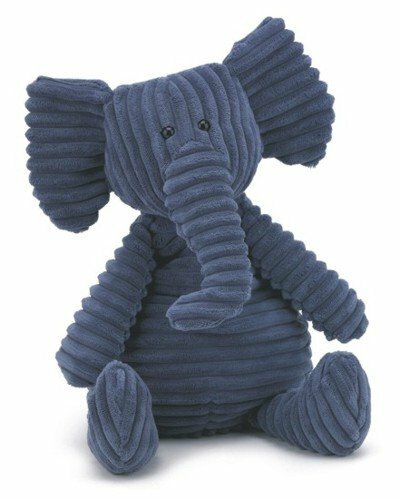 Each of the stuffed animals by Jellycat are washable; however, you need to make sure that you let them air dry as placing them in a dryer may damage them. Do you own a pet? If your answer is yes, then you should definitely go ahead and buy a stuffed animal of the same kind. When you do this your child would be able to bond with the pet really well. 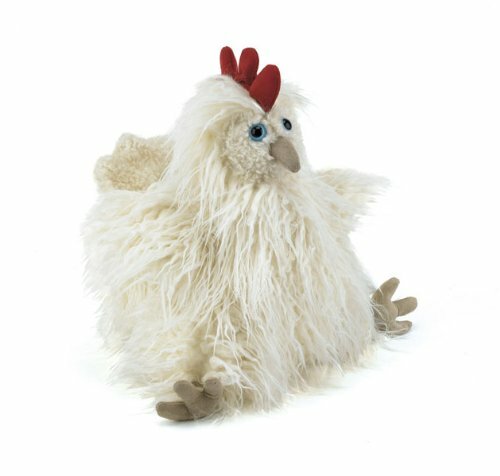 But, if you're child already loves the pet, feel free to pick any stuffed animal that you seem fit; because, no matter which one you opt for, you're child is going to love it. 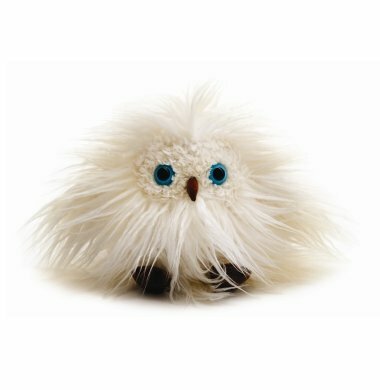 Jellycat Bashful Beige Bunny Medium 12"
Truffle Large Puppy - As you can see above, the Truffle Puppy is surely adorable and it's soft and cuddly as well. 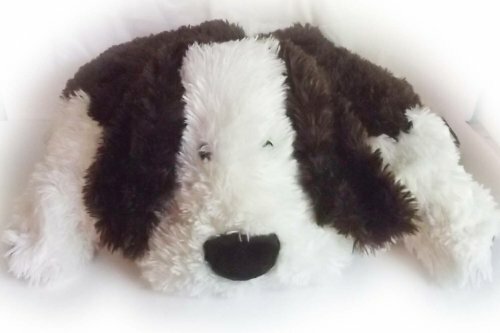 As you may already know, a truffle is a soft plush animal that isn't completely stuffed. Instead they're lightly stuffed and can unfold so as to become a mat suitable for a toddler. 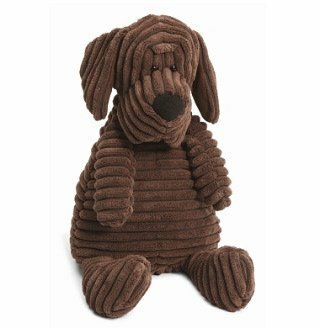 This cute puppy is made entirely of plush filling and hence when you buy it you're getting your child not just a toy, but a new mat as well. Olive Owl - This Owl is furry and rather than having feathers it's got strands sticking out form all over it. Young kids would love this toy and would surely make much of it. 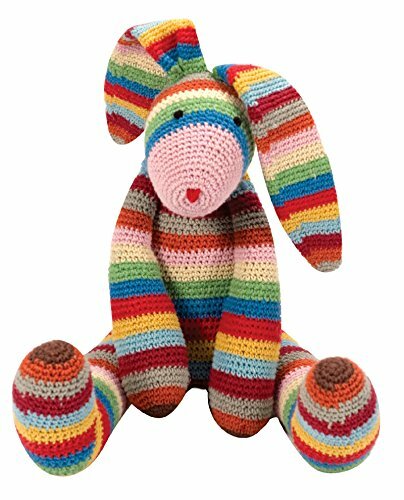 Since it's manufactured by Jellycat, the toy has gone through testing to meet both European as well as American standards and hence you can be sure that the strands are really strong and won't break off unless you personally cut them. 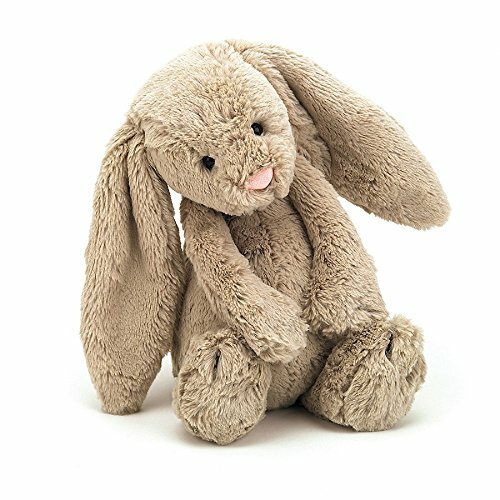 Beige Bunny - The beige bunny you see above is another masterpiece and one of the best jellycat stuffed animals for your child. It's Beanie bottom ensures that the bunny would be able to sit erect with no problems whatsoever. Apart from the Beige bunny, there are also Brown and White Bunnies of the exact same size. So, when you check out the beige bunny you'd be able to choose the color you prefer - That's what I love, customizing plush toys! Kids just love farm animals and they often wish to have them home as pets. But, we know that's not possible. Therefore, to please them, the next best thing that you could do is get home some stuffed substitutes right? A Donkey, Ostrich and Cow - Moooo! 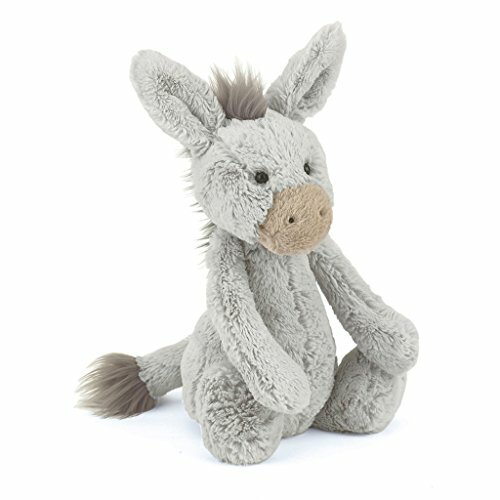 The Bashful Donkey - If your child loves farm animals getting them cute plush toys is one of the best ways to teach them more about these wonderful creatures. Donkeys are never beautiful, but they're really hard working and these are some of the qualities you would want to see in your child as they grow up. It's a proven fact that children learn better when they have a picture in front of them; so, just imagine the amount they'd learn if they have an actual toy with them! Once you get them this, let them know about the cool qualities this animal possesses and they'd try to imitate. 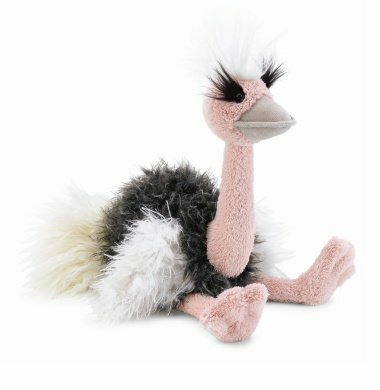 Mad Pet Orla the Ostrich - Did your child ever want a pet bird? If that's the case get them this ostrich. Let them know that it's the largest flightless bird and so it won't be able to fly away from them like a real life bird. This would take away the need of buying a real pet. The Bashful Calf - Who would ever imagine a cow as a beautiful animal? 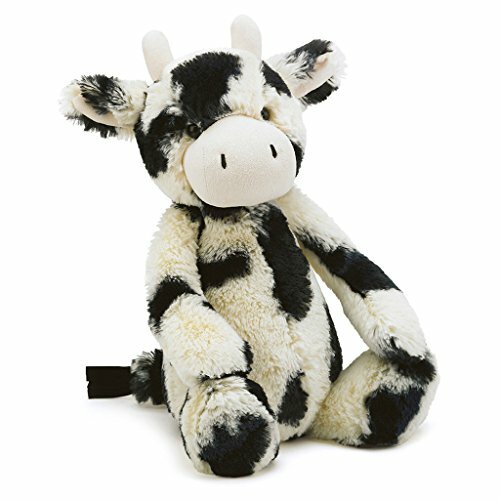 Well, even though they aren't in reality this Jellycat calf is surely one of the cutest of the lot. It would surely make a great gift whether you're gifting it to a child or a mom during a birthday shower. Pink Piggy - Pigs! There's no farm without them. They're not the cleanest of the lot, but the Pink Piggy toy you gift your child can be kept clean with no problem at all as it's safe to wash these toys in a washing machine as long as you don't run the dryer. Pigs even though they may seem quite lonesome are really faithful and make excellent friends if you know them well. After all, they're one of the most intelligent animals on the planet! 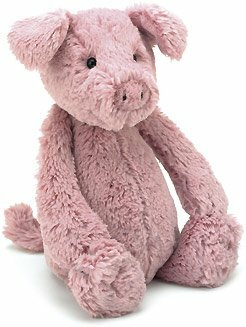 This cute Jellycat stuffed Piggy would be something your child will love. Bashful Mouse - Why am I placing a mouse in the list of farm animals? Well, that's obvious isn't it? For one reason mouse plush toys look adorable and kids love them whereas on the other hand, I doubt there's a single large farm in the world with the absence of mice. So, since they're loved by kids and stay on farms they're listed on this article under farm animals. Now that we've moved on from the comfort of our homes and the farm, let's go a bit on the wild side by checking out some cute wild animal stuffed toys. 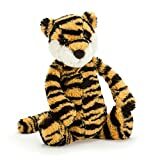 Bashful Tiger - This is one of the most recent products manufactured by Jellycat and it's my favorite and that's the reason I chose him as the thumbnail at the top of the page. 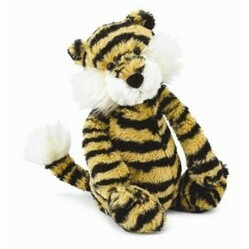 The Tiger is really cute and cuddly and every kids favorite. It's not just kids that love this masterpiece, check out some reviews and you'd see how it's managed to change peoples lives. 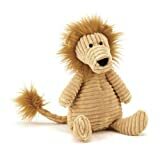 Cordy Roy Lion - Roar! Roy is the king of the jungle. 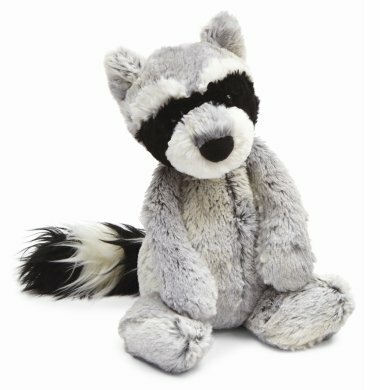 If you're child loves throwing things around, s/he'd love Roy as he's durable and doesn't get dirty easily. Even if he does, all you need to do is give him a quick scrub and he's squeaky clean once again. 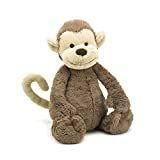 Bashful Monkey - As I've already said, there are plenty of Jellycat stuffed animals and no matter which one you choose your child is going to jump for joy. But, there was no way I'd miss out the monkey as they're one of the most popular wild animals and every child knows about them even before they find out about Roy the Lion. So, who should the king actually be? 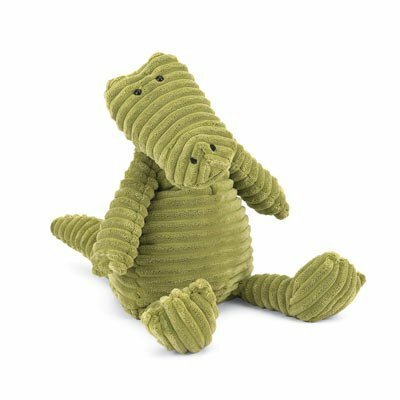 The Lilac Hippo - Another favorite among many, the hippo is cuddly and adorable, the large snout makes a great toy for toddlers. 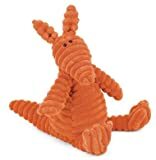 The orange Aardvark - If am not mistaken Aardvark is the first word in the English dictionary and that's the reason I wanted to add him here. The Orange color isn't something that you commonly see and so, it's a great addition to your collection. 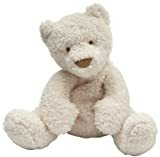 Bebe Cream Bear - How could I leave out the classical Teddy Bear? He's a wild animal and so I've added him here. Most probably you've already got your child a cute teddy at home and that's the reason I've placed him at the end of the lot. But he surely is cute sitting with open arms waiting for a hug. 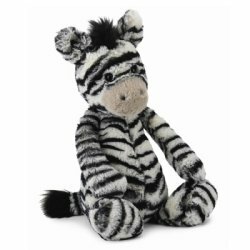 Jellycat Bashful Lilac Hippo 12"
Here are a few more Farm and Wild animals that seem pretty cool and your child would love to have one of these especially the striped bunny and the Racoon. 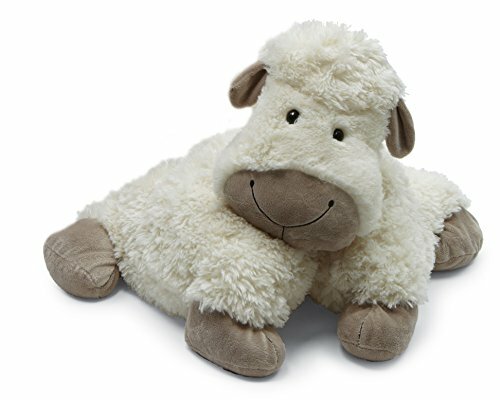 One thing can be said, Jellycat stuffed animals are really cute and adorable and the list can be never ending. All you can do is pick the ones you find cute on first sight!